Darjeeling, situated in the beautiful hills of North Bengal, has to be in the bucket list of every travel loving Indian. 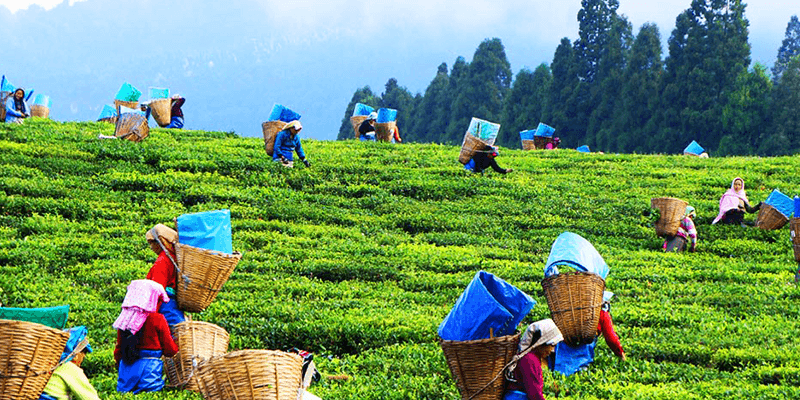 Darjeeling sightseeing is the best idea when you want to get away from a busy schedule and spend some slow-moving leisure days. It’s a feast for the eyes and every other sense! Touted as one of the most visited summer time destinations, winters are not that bad either for Darjeeling tourism! Darjeeling city, situated on the foot of Kanchenjunga, has some remarkable tourist places. 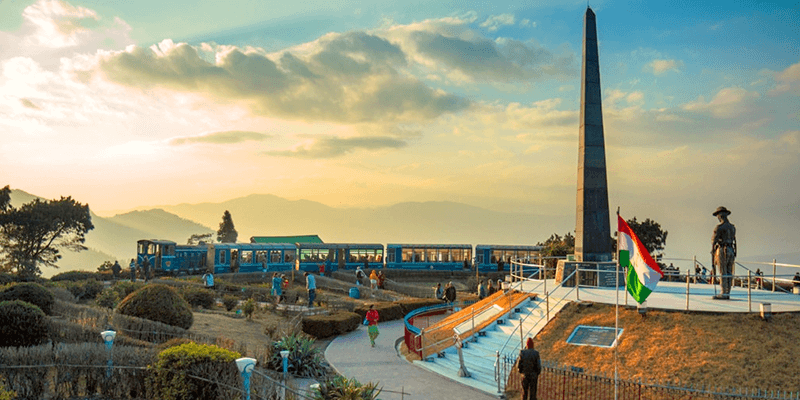 But a trip here is all about taking home some fond and unique memories that one inculcates while going through the places to visit in Darjeeling. Today, we are here with a list of some unique experiences that you can enjoy while touring Darjeeling. Darjeeling provides one of the best views of the Kanchenjunga mountain and seeing the first rays of the sun hitting the third highest peak of India is a once in a lifetime experience. But to witness this spectacle you have to compromise with your sleep. You have to wake up at around 4 AM, get ready and head towards the Tiger Hill. And then wait for the sun to make its grand appearance. 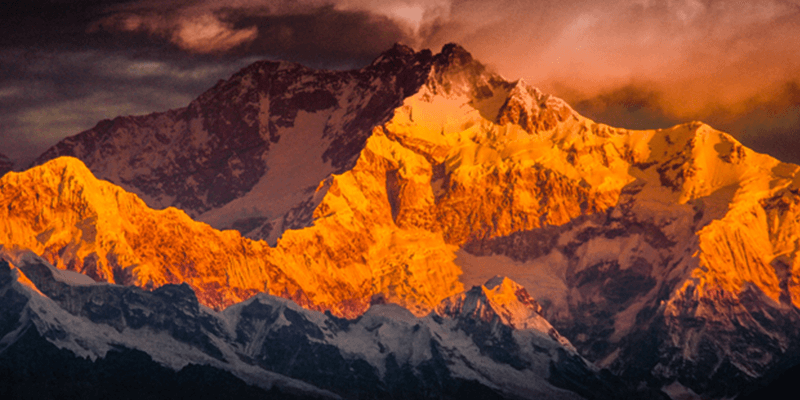 As the golden rays of the sun light up the white tip of Kanchenjunga, you would be left awestruck. But before you head out, do wear adequate warm clothes and of course do not miss out on the piping hot Darjeeling tea! Thought you had seen the best? Well, there is much more in store. After freshening up, you can visit the Padmaja Naidu Zoological Garden, which would be a short drive away from the Darjeeling hotels. This is a unique zoo, and trust me on that. It houses many rare species of Himalayan wildlife. 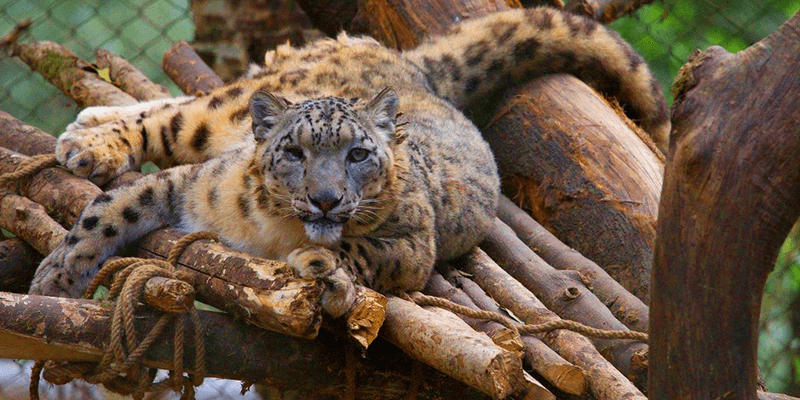 Of course the main attraction of the zoo is a chance to see the rarest of wild cats – Snow Leopard. A very few of them remain worldwide, and this is a rare zoon where they are bred for conservation purposes. Once you have seen the Snow Leopards, pay a visit to another rare animal – Red Pandas. There are other rare species present at the Padmaja Naidu zoological garden as well such as Snow Wolves, Black Panthers and many other unseen varieties of birds. Tip: The zoo is on a mountain slope and you have to go up and down steep roads as you visit one enclosure after another, so wear comfortable shoes. Ever since it was built, the Darjeeling Himalayan railway is considered a marvel in Railway engineering. The steep gradient of the route made it difficult for the rail lines to ascend till Darjeeling. One of the most difficult construction areas was the route between Batasia Loop and Ghum, which was and is the highest railway station in the world. The rail line goes around itself through a tunnel and then over a hilltop. You can see the whole Darjeeling city from here as you come down the hill. Within the loop is a beautiful garden and a war memorial dedicated to the fallen Gorkha soldiers. If you can be there when the toy train comes, that will be a treat of a lifetime! 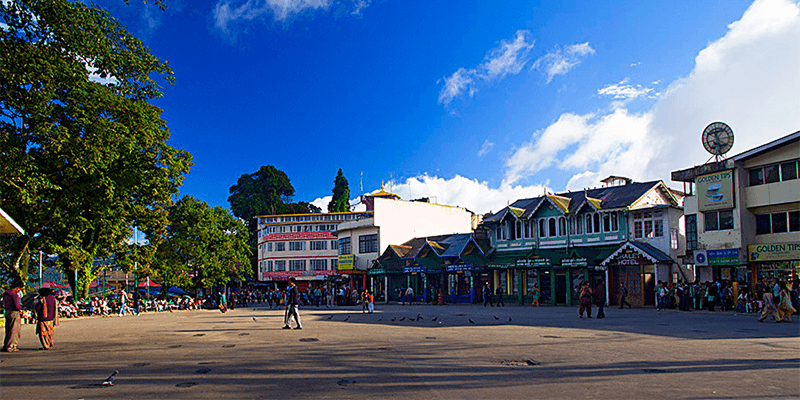 Mall is the heart of Darjeeling, and is always bustling with people and activities. It has the charm of an open-air carnival all through the year. There are cultural programs going on in one area of this elevated flat land, while on the other there are plenty of food stalls. There are shops of every type for the shopaholics as well. The little ones can take a pony ride here and of course watch the various species of dogs come here for walk. Just follow the round path around the Observatory Hill, guarded by beautiful railings and trees and enjoy the view of the valley below. If the weather is clear, you can even glimpse snow covered mountain tops from the Mall. It is about a mile, and if you feel tire, there are benches available to rest and enjoy the weather. And once you finish your walk around the Mall, relax with the finest cup of Darjeeling tea from Nathmulls Tea Store & Sunset Lounge. Or drop into Habeeb Mullick & Sons which has stood there since 1890 and look into curios, rare books and other interesting memorabilia. Darjeeling and tea go hand-in-hand. So, a tea estate definitely has to be in your Darjeeling places to visit. If you want to see the entire process of Darjeeling tea preparation, visit Happy Valley Tea Estate. This popular tea estate was started in 1843 by an Englishman and later purchased by an Indian businessman in 1903. Once you are there, the guides will show you everything from how tea leaves are plucked to how they are dried to the final packaging. You also learn about different varieties like White tea, Black tea, etc. The tea garden located on a slope provides a spectacular view of the surrounding. Don’t forget to taste the various brews in the tea shop adjacent to the estate. You can also buy tea from the estate from nearby kiosks. #6: Beauty here, beauty there, beauty everywhere! British have to be credited for bringing Darjeeling tourism to its present day heights. During the Raj days, Darjeeling was a sleepy little hill town that would be frequented by British officers seeking some reprieve from the heat. However, the British settlers in these parts also built some beautiful monuments and mansions. 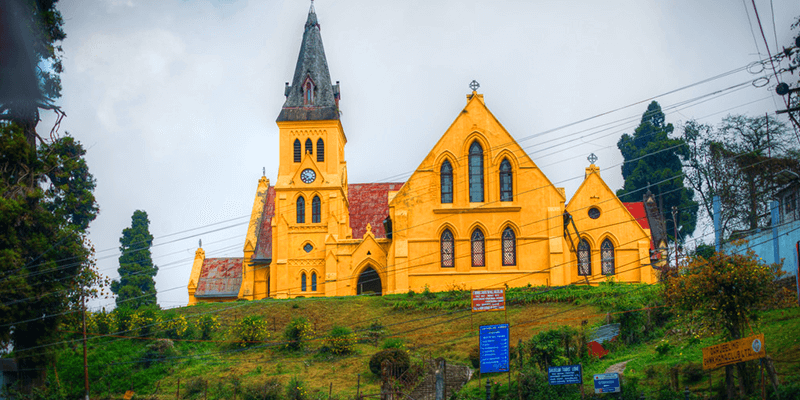 Roam around Darjeeling city and you will find plenty of Gothic styled architecture around. You can visit St. Andrews Church for the finest specimen of such. A bit far from the main town is the Mahakal Temple, which is a perfect amalgamation of Hinduism and Tibetan Buddhism. And if you are a movie buff, you cannot miss St. Paul’s school (from the outside of course) which featured in Sharukh Khan’s blockbuster movie “Main Hoon Na”. Hope, you would visit Darjeeling soon enough and try our list of activities. The best thing about Darjeeling is that it is like the finest wine, which just tastes better each time you taste it! Next articleComplete Varanasi trip in 48 hours! Really I feel proud because it’s all our property not w.b.